A number of Egyptian newspapers reported on Wednesday, 30/1/2019, what the World Fatwa Index issued on the marriage of minors, claiming that Hizb ut Tahrir restricted marriage to sexual relationship only, disregarding their psychological, health, mental and physical qualifications. The party criticized the opponents of marriage of the “minors”, who allow them to have sexual relations at the early stages of their lives. In its statement the Hizb said: “the presence and spread of sexual relations between the ages of 15 and 18 in Germany is evidence of the existence of instinctive needs in this category, which must be regulated by the right organization that ensures the satisfaction of their needs and ensure the rights and does not spread vice in society”. The strategic studies unit in Dar Al-Ifta (Fatwa House) recommended and demanded that the exceptions to the legal age of marriage to be lifted and that the legal age of marriage for girls is increased to at least 18 years. As for determining the age of marriage that you have recommended based on a decision passed to you from your masters in the White House, and you searched for an abnormal opinion that contradicts the consensus and used the evidence about the adoption of the guardian that removes the dispute. First, even the saying of Ibn Shubrama, which is odd to the consensus, does not help you, despite that he prevented the young girl from marriage, he did not specify a specific age for her marriage, and he did not say, your lie, that marriage is forbidden for those under 18-year-old. As for the guardian and his adoption, who is the guardian who may adopt? On the assumption that it is permissible for him to adopt a specific age for marriage, he is the legal guardian who comes to power by a valid legitimate pledge of allegiance and rules the Ummah by Islam. His presidency is general to all Muslims. Otherwise, it is not permissible to describe him as a guardian and he is not obliged to be obeyed and he is not allowed to adopt a Shariah rule that people must follow. 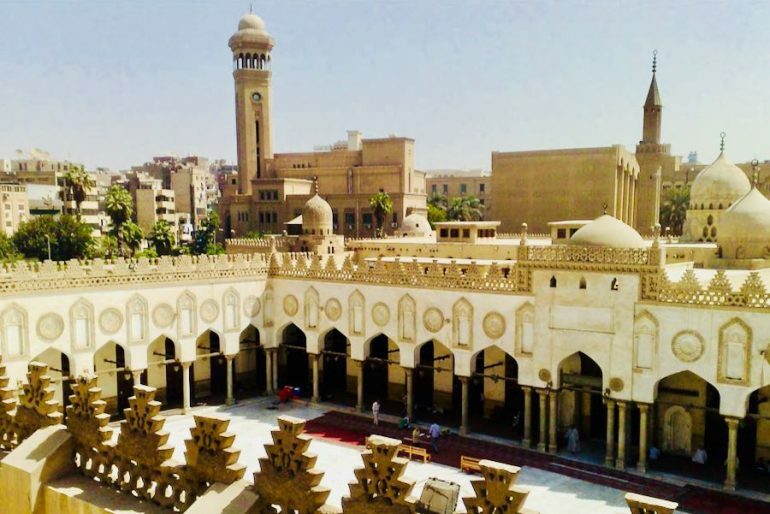 O Al-Azhar scholars! This regime wants you part of the war on your Deen and its ideas and creed and wants you to be a tool to mislead those who entrusted you to their Deen, they will not save you from Allah’s wrath; do not meet Allah in the dress of misguidance. O descendants of the Sultan of scholars Al-Izz ibn Abdul Salam! Why don’t you stand for Allah, and evoke the greatness of Allah in front of you as your grandfather Al-Izz did, and reject the ideas of the West, which the regime demands of you to dress them by Islam and promote them among the people of the Ummah, and work to resume the Islamic way of life by the establishment of the Khilafah Rashida (guided Caliphate) on the method of Prophethood, and ask the people to embrace the idea and work for it, and incite the faithful sons of the Ummah in the armies, to support it. May Allah (swt) write conquest and victory by your hands so that you and the Ummah get the blessings and the people and birds and trees are pleased?! Oh Allah, make it soon and with our hands.